During today's keynote at Google I/O, Google revealed a couple of interesting figures about the upcoming Android O release. Namely, it should be a lot faster in certain regards. 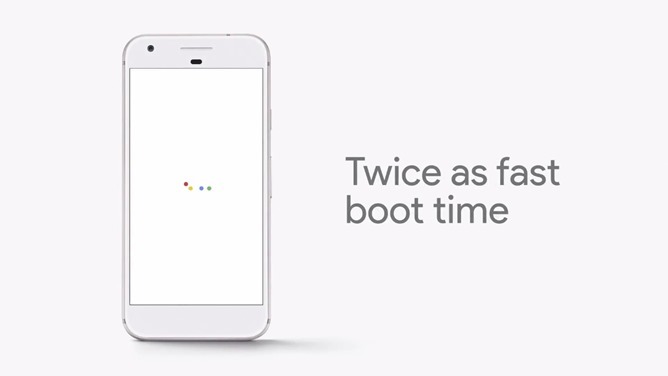 Google says that the Pixel, for example, will reboot up to twice as fast on Android O (it does take a while at the moment). 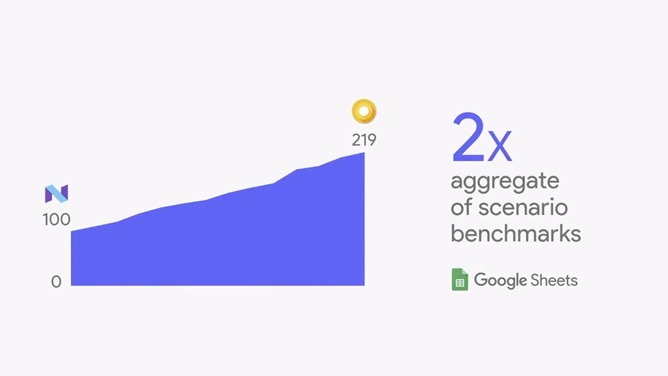 It wasn't immediately clear what optimizations allowed for this boosted performance. As in the hero image of this post, Google also alluded to improved performance for apps at large. Using Google Sheets as an example, Google claimed that when running a set of typical workload benchmarks in the app, Sheets completed operations over twice as quickly in these scenarios. How exactly this is happening, again, is unclear. But it's certainly good news - faster apps are better apps. The improved reboot times should further reduce the amount of time necessary to install an OTA update on your device. Last year at I/O, Google announced seamless updates, allowing you to install updates on your phone in the background on a separate system partition while you can continue to use the device. Rebooting is still something that has to happen with seamless updates, though, and it sounds like Android O should make that process even faster.